I have a 94 accord and want to put on a performance suspension. I am trying to find something cost effective but still good quality. Also, I would like to be able to buy a kit and not a bunch of individual parts. Where is a good place to look? Function form type 1s or type 2s are probably the best bang for the buck out there. I have an 02 EX and it has Team suspension. I love it. Its lowered but not slammed. I got a camber kit to accommodate the wheel angels. It rides like a caddy baby!!! What is a TEAM suspension? 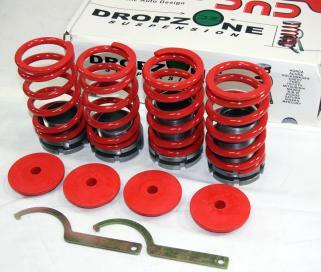 ..did you mean TEIN suspension. ?